This pleasant attic apartment is located in a small condominium composed of only 4 apartments, in a prestigious and exclusive area in Ruvigliana. Sited at the bottom of a private street enjoys privacy and tranquillity. The apartment is south facing and enjoys the sun all day giving beautiful sunset. The city centre is reachable by the funicular Cassarate-Monte Brè (located just a few steps away from the condominium), with the bus or in a few minutes by car. Every other service is located in the vicinity. The property was built in the 1990; continue and regular maintenance kept it in a good state. 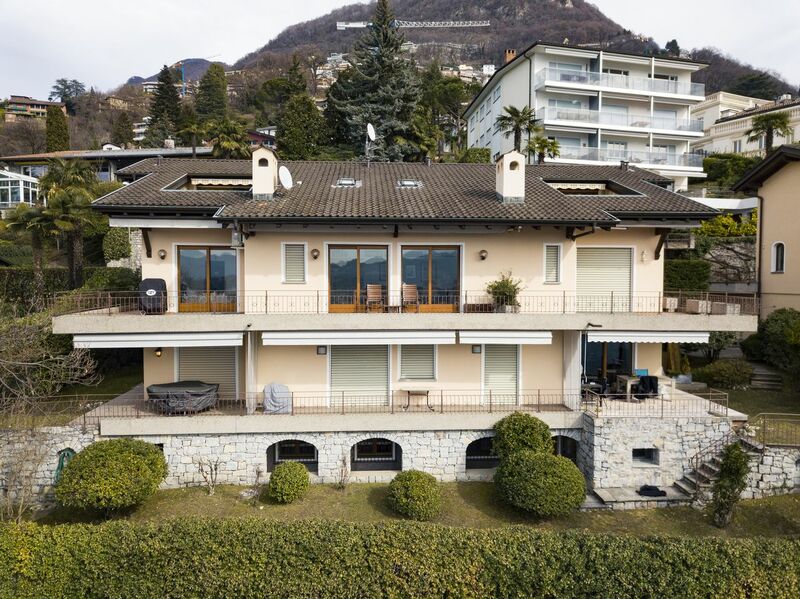 entrance hall with guest bathroom, separate kitchen, large living-dining room with exit to the big terrace where you can enjoy a stunning view on the lake of Lugano, 2 double bedrooms with en-suite bathroom, one of them with exit to the terrace. Cellar, storage room with glass window. Car park in the garage (fr. 60'000.-) and various guests car parking available.